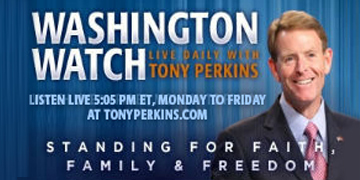 On Tuesday’s edition of "Washington Watch with Tony Perkins" Former Ohio Secretary of State and FRC's Senior Fellow for Human Rights and Constitutional Governance Ken Blackwell joins Tony to discuss the ballot recount chaos in Florida. Kansas State Rep. Susan Humphries is here to highlight Governor-elect Laura Kelly’s efforts to undermine the state’s Adoption Protection Act. Also, Cathy Ruse, FRC’s Senior Fellow and Director of Human Dignity, joins Tony with the latest controversy coming out of the Fairfax County School District.